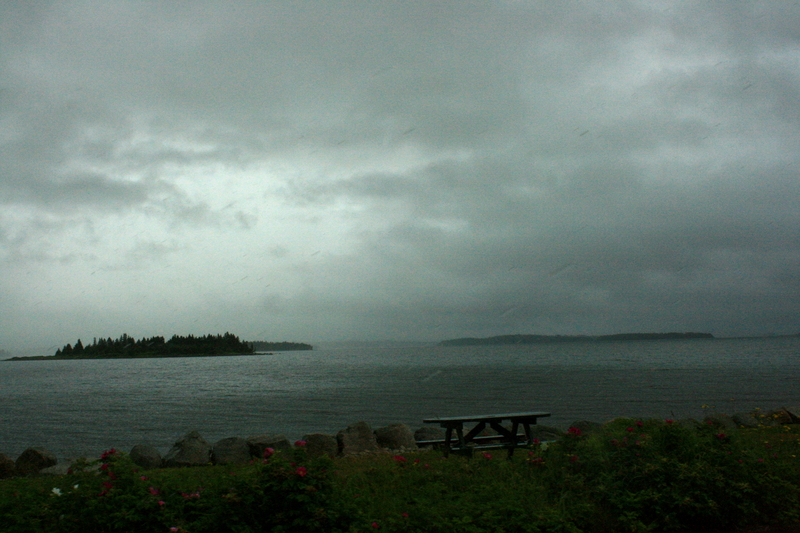 On the drive to Lunenburg, NS on a rainy summer day. 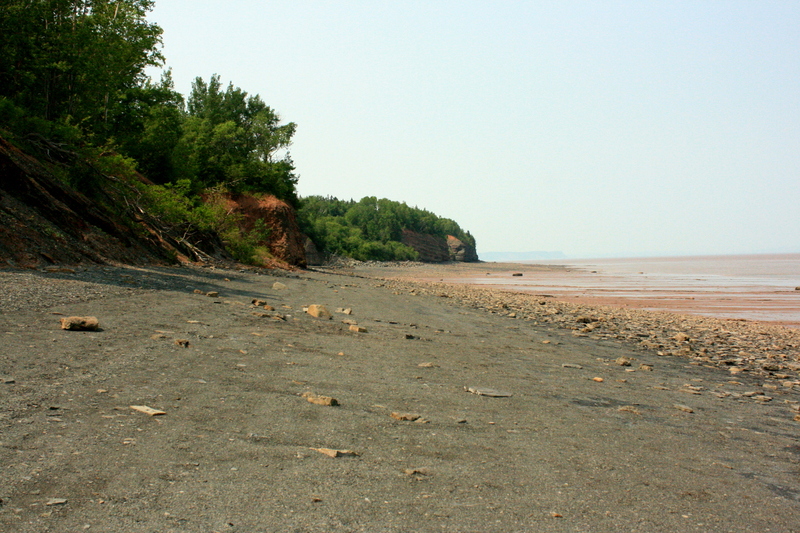 Blue Beach, near Hantsport, NS, where fossils and shale are aplenty. 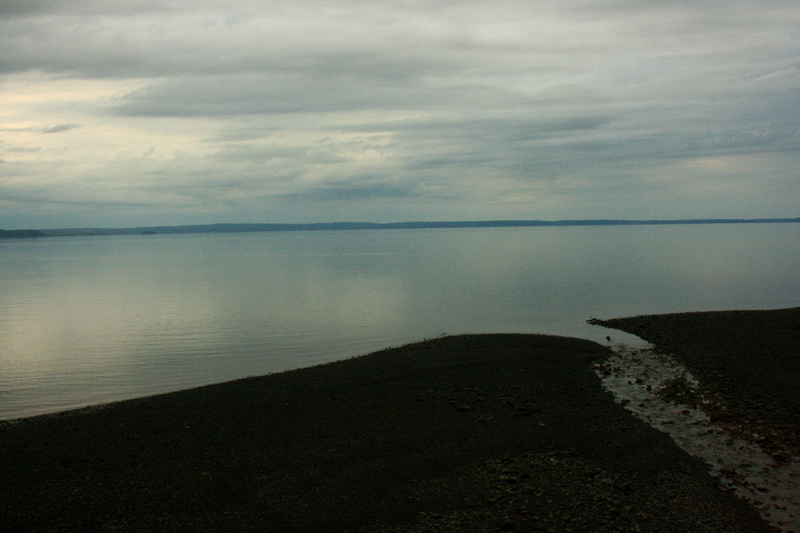 Halls Harbour has some nice views of the horizon, even on a cloudy day. 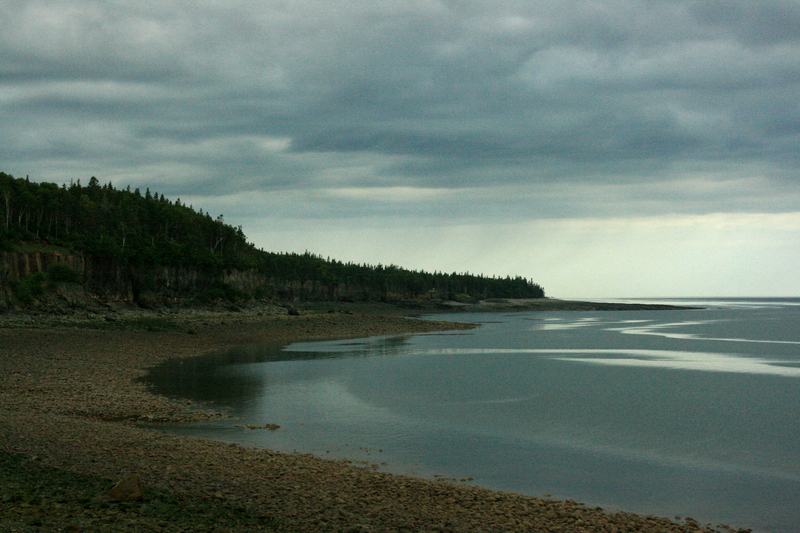 Looking across the Bay of Fundy from Halls Harbour, NS. 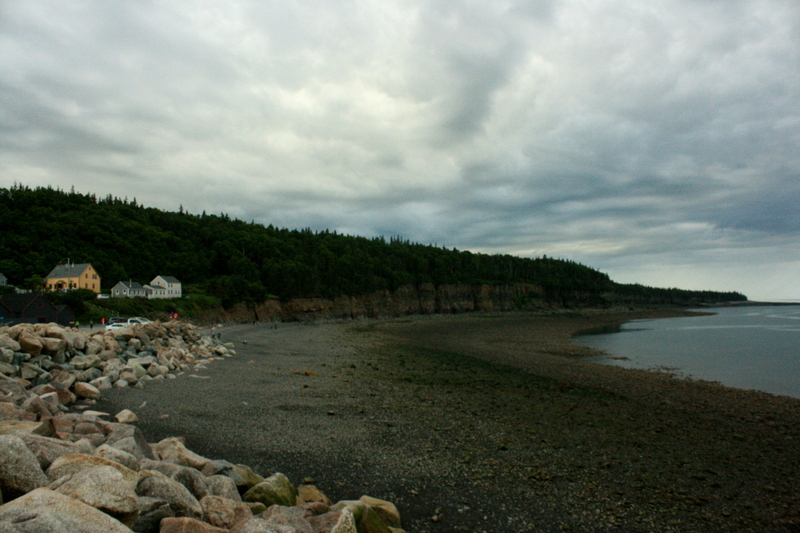 A look at some of the shoreline views I had in Nova Scotia this summer, including looking across the Bay of Fundy at Halls Harbour. Somewhere closer to the southern shore of the province, I took the lone picnic bench shot. Not sure what sort of somber mood I was in that day but it sure looks gloomy. That reminded me of the impending winter (he said, in balmy Vancouver) and had me thinking back to summer.